and separated from a peaceful and solidary life on this planet? What is the leverage to do something from a powerless position? of power games, power addiction and abuse? How can artistic practices and attitudes support this process? This book is a call into action, unfolding into an ongoing collaborative artistic research practice. A two-hour depowering session, facilitated by Latvian dancer and choreographer Agnese Bordjukova and St. Hanna zu Thun und Lassen, combining an embodied research practice with a reading, video screenings and options for feedback and exchange. with Bernhard Wöstheinrich, Anna Nowicka, Erin Bell, Nicola Bullock, Pauline Payen and others. 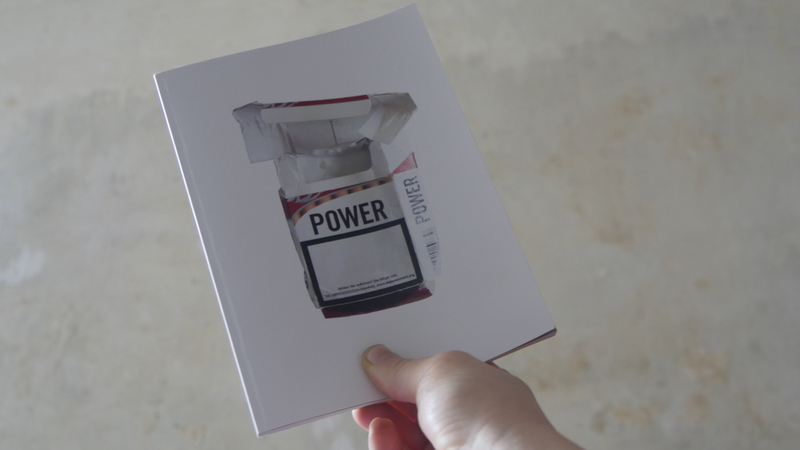 The word “depowerment” will be tested on its practicability in an ongoing collective research. The next print editions of “a depowerment manifesto” will be updated accordingly.